Our Skippers' Advisory is a sounding board for our skippers. We actively seek skippers' input on issues of concern. We encourage careful watch over Club activities to protect skippers from needless liability. 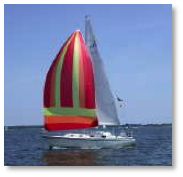 Support is also provided for activities that enhance skipper participation and enjoyment.